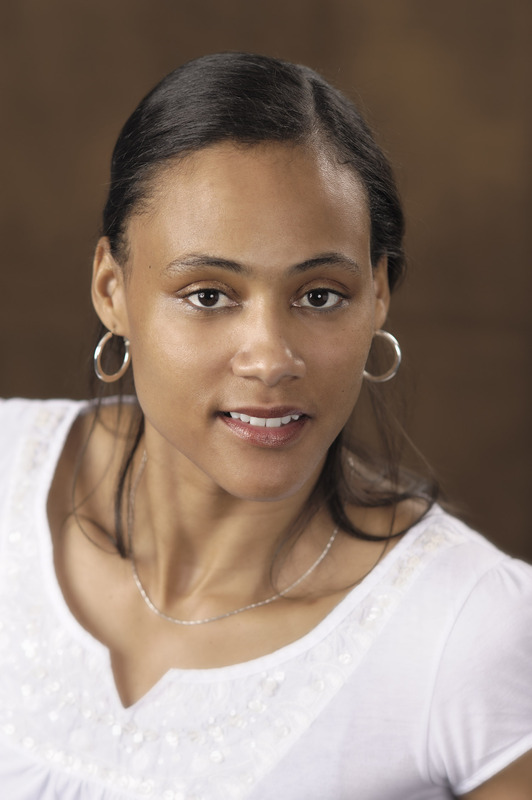 For more than a decade, Marion Jones was hailed as the “the fastest woman on the planet.” At the 2000 Olympic Games, she became the first woman ever to win five medals at one Olympics. But when she lied to federal agents about her use of a performance-enhancing drug, she was stripped of her medals and served six months in prison, away from her husband and young children. On the Right Track is the candidly told story of how she came to grips with her lies and the consequences of her actions and how she found meaning in all of it. She discusses real issues that we all face: learning to grow through pain, making decisions that will help us far into the future, overcoming failure and discouragement, and applying practical principals that point the way to personal and spiritual breakthrough. When faced with Marion’s decision, what would you have done? Lied in an attempt to protect yourself, or come clean? Marion lacked a strong male presence in her life growing up, and writes “I wonder if I won all those trophies and medals to impress the men in my life.” Talk about Marion’s reliance and often blind faith in the men in her life. How did this hurt her? How is her relationship with Oba different? In the chapter “The Prisons We Make,” Marion talks about how self-made prisons, such as debt, substance abuse, or low self-esteem, can be as damaging as a physical prison. Think about such burdens you’ve placed on yourself. How can you break free? Do you think Marion’s sentence was fair? Why or why not? How do you feel about the use of performance-enhancing drugs? The classification of performance-enhancing drugs isn’t always clear-cut; for example, some athletic authorities consider caffeine a performance enhancer. Why is it ok for athletes to ingest vitamins, protein, and other supplements? What did you learn about life in prison from reading On the Right Track? How did this book change your viewpoints? Do you think more opportunities should be made available to inmates? Do you agree, as Marion suggests, that many sentences don’t fit the crimes? Why or why not? Marion writes, “Being faced with life challenges is the perfect time to recreate our lives, because it forces us out of our rut.” Talk about the many ways Marion used her “rut” to change her life. Looking back on your own life, how have you taken advantage of challenges to spur you into action? Think about a decision you’ve made that you have since regretted. How do you think Marion’s “Take a Break” philosophy would have helped you in that situation? Marion talks about replacing regrets and “if only’s” with “I’m so happy’s.” Put this philosophy to use in your life, and discuss things you’re grateful for. Follow Marion’s new career in the WNBA – visit the WNBA’s website at http://www.wnba.com. Get the stats on Marion and all the information you want about the WNBA. You can also check the teams’ schedules to see if the WNBA will be playing a game near you! 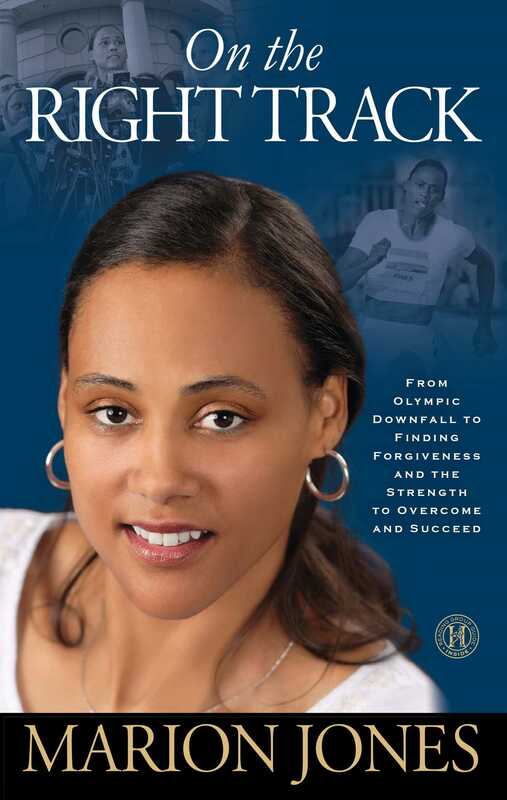 Follow Marion’s journey in life and sports via her Twitter page (http://twitter.com/marionjones) and Facebook page (http://www.facebook.com/pages/Marion-Jones/215215433938). To find out more about Marion’s Take A Break program, visit her website at www.marionjones.org. Why did you decide to share these intimate details of your story? Why now? I decided to share my story because I realized that people from all walks of life encounter the same experiences in the different phases of life. Each day we are faced with critical decisions that must be made or truths that have to be told, and many of us are afraid to do the right thing for fear that the consequences will be too tough to bear. When faced with the fear that the truth would destroy my life, I did the wrong thing, lied, and lost everything. What I know now is that if I had been honest with myself, taken a break, received proper advice, thought things through, and told the truth, I would have been able to control the consequences and I would have been able to stay in control of my life. These are the lessons I want people to absorb. You readily admit that you should have been less trusting of your coach. Do you blame him at all for knowingly giving you an illegal substance? The only person to blame is me. I was trusting, did not ask the questions I should have asked, and ultimately I’m accountable and take full responsibility for having made the decision to not ask questions. Why do you think the judge decided to give you the maximum sentence of six months in jail for your crime, rather than just probation? The judge made his decision, and like I said at the time of the sentencing, I respect the court and accept the punishment the judge imposed. I also firmly believe that God has a plan, and going to prison was part of the life journey God has in store for me. Can you tell us about your writing process? Did you keep a journal through your life, or are you relying on memory? Well, pivotal moments in my life—and there have been many good and not so good moments—tend to stand out vividly in my mind. I do not keep a written journal, but I am a journalist at heart and tend to keep a running commentary in my mind. However, in prison, you have lots of time, and the monotony can be overpowering. I decided that I wanted to keep my mind occupied and as sharp as possible. So, I wrote daily letters to my husband in which I described my daily experiences, my fellow inmates, the relationships I established at Carswell, my inner thoughts, my daily struggles with incarceration and the realization of how the simplest things in life that we all take for granted, like our freedom and being able to hug our children, are so precious when you don’t have them. What do you think the public and private reaction will be to your book? If my book and sharing my experiences can touch and change the life of one person, I will be satisfied. Do you keep in touch with any of the women you spent time with in prison? I am still on probation and government supervision, which includes restrictions about contact with any of the women I met at Carswell. However, I did establish some good relationships with several women who were at Carswell. I met some amazing women there, many of whom only made one bad decision that ultimately cost them their freedom. Was it harder or easier being a famous athlete in jail? I tried to be as normal as possible. I did not seek attention, and I did nothing to call special attention to me. But people there obviously knew me and it was sometimes very hard to keep a low profile. Looking back on my experience, I do think that I may have experienced some things, good and bad, that, but for my celebrity, I may not have encountered. You wrote a letter to your sons about the time you spent in jail and the reasons for it. When do you plan on sharing that with them? My husband and I will share my story with our kids when we feel the time is right and they can fully understand why certain choices were made. Of all the lessons you learned about yourself, why did you choose the message of “Take a Break” to share with people around the world? Was that the greatest lesson you learned? I chose this lesson because it is: 1. Simple to understand and people of all walks of life can relate to it, 2. It is timely in that even fifty years from now it can be applied to situations that people will encounter and hopefully make a difference in someone’s life, and 3. It’s real! It’s absolutely and unequivocally what I wish I had done to avoid certain costly mistakes in my life. Yes, this was the greatest lesson I learned. How is playing professional basketball different from running track and field? I am enjoying the challenges of playing professional basketball. It is certainly no easy task for me to take on, but I am fully committed to reaching my true potential in the sport. I love each sport in its own unique way. Track and field satisfied my desire to compete in an individual sport and become a champion. Basketball satisfies my desire to reach within and find what it takes to help a team of players satisfy one goal. Do you want your children to be athletes? My husband and I want our children to become productive members of society. We encourage them to learn and explore their own unique, God-given talents. Your briefly mention your interest in prison reform. What are you doing to help? I think one of the most important ways to help is to open up dialogue about it. I hope this book begins to do this. It is an issue that affects all of us whether you realize it or not. You might not know anyone directly who is being affected, but if you are a member of society—and we all are—you want those around you to be given the tools to contribute in a positive way. If these individuals are not exposed to or provided with opportunities to better themselves or their families in some capacity, it hurts all of us in some way. You have a great original voice. Do you see yourself writing another book? I am so thrilled to have put on paper so many of my personal thoughts about this important time in my life, and I’m honored that my experiences could hopefully help others in their own journeys. I can certainly see myself writing again.